I am so happy to be back to share some of my projects with you. 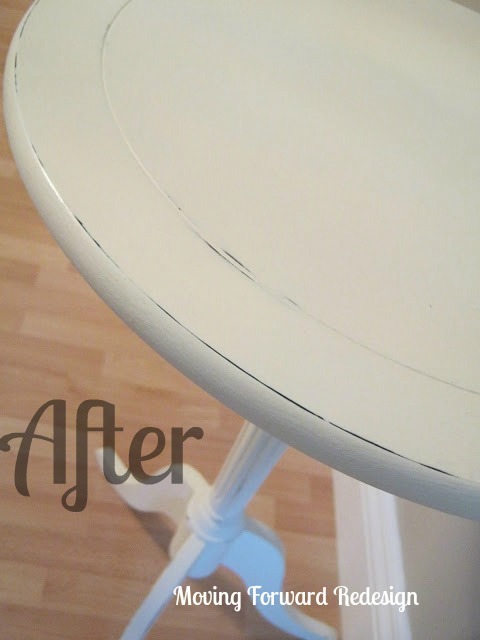 I have discovered Annie Sloan Chalk paint and have been busy bringing new life to some old furniture pieces. 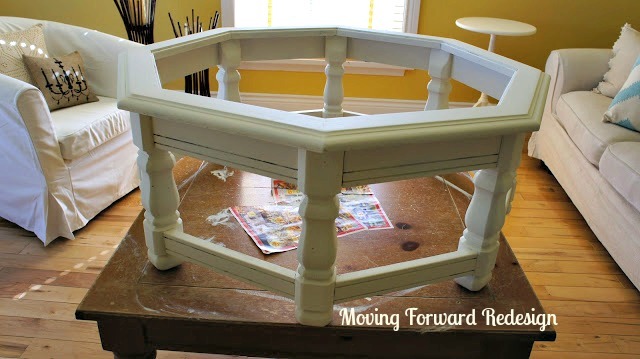 I need a lot of furniture for the country home we purchased last year and the chalk paint has made it easy to pull things together and add some country charm to some of the furniture pieces I have found. 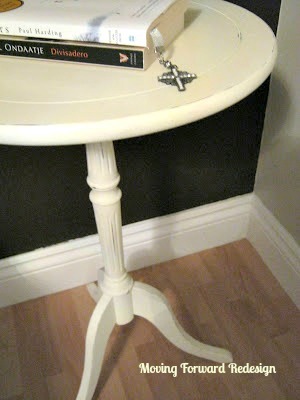 This small dark table was painted with two coats of Annie Sloan “Old White” chalk paint. Followed by some light distressing with fine sandpaper and then a coat of clear wax. Buff to a shine after the wax has dried. 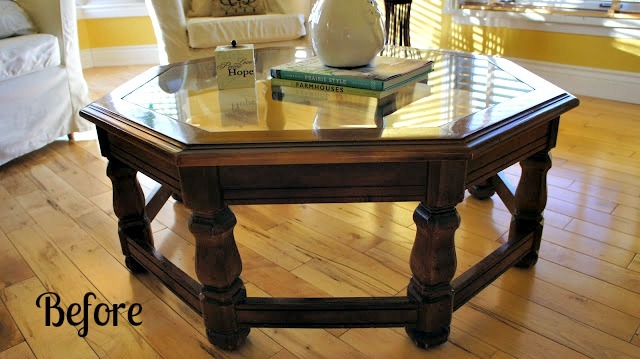 an old coffee table and side table that my mother had stored away. They are great tables but too dark for the look I am going for. After a few coats of paint…LOVE IT! Looking forward to sharing more projects with you soon. Hi Barbara, there are many places that carry this paint all around the world. To find a place near you check out the Annie Sloan website, http://www.anniesloan.com/stockists/#/ and thanks for coming by. Where is this paint sold? Thanks Debbie! I love her paint, just got some Florence, can’t wait to use it. I love it too! so beautiful!!! 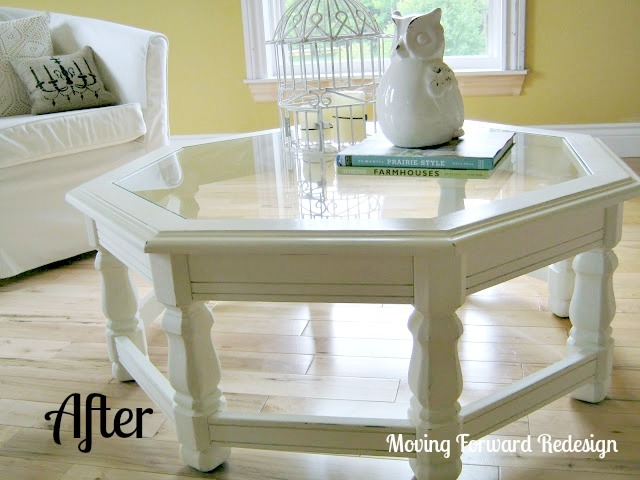 I think all 3 pieces look better with old white, I just love that color and use it a lot in my home! The pieces don’t seem to be as heavy and take up as much space beung lighter. You did yourself good! Thanks for sharing your creative inspiration with Sunday’s Best – you helped make the party a success! PS – following you on Linky! Thanks Luci! I am addicted. I have painted a dresser, two night side tables,a bench, muskoka chairs and some lamps…lol! All in the last month. Will share photos soon. I’ve been using this paint for about a year as well and it’s so awesome! Not having to sand is priceless! It’s amazing what some white paint will do to plain brown tables. Can’t wait to see what else you transform! These two tables are fabulous! You did a perfectly marvelous job. Talk about something going from drab to bright and lovely . . . I just love seeing furniture re-dos. Thank you for visiting my blog and even more for following. I’m looking forward to becoming blogging friends and sharing ideas. Have a great weekend.